I tried both non-vegan (with 1 egg) and vegan (with flax eggs) versions and both turned equally nice. 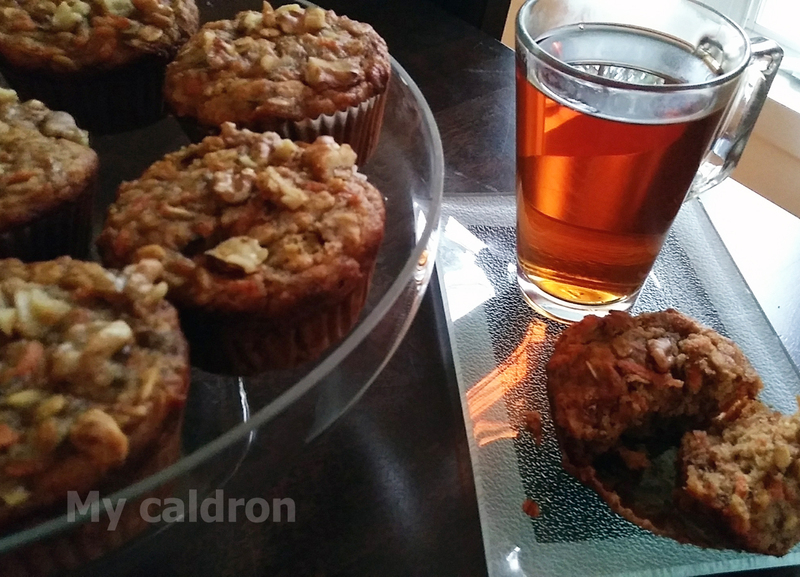 Actually, I was very excited to have found a substitute for egg and quite impressed by how well flax eggs worked to stick everything together in these muffins. Note #1. The current recepie link is slightly different from the original one, the one that I followed. 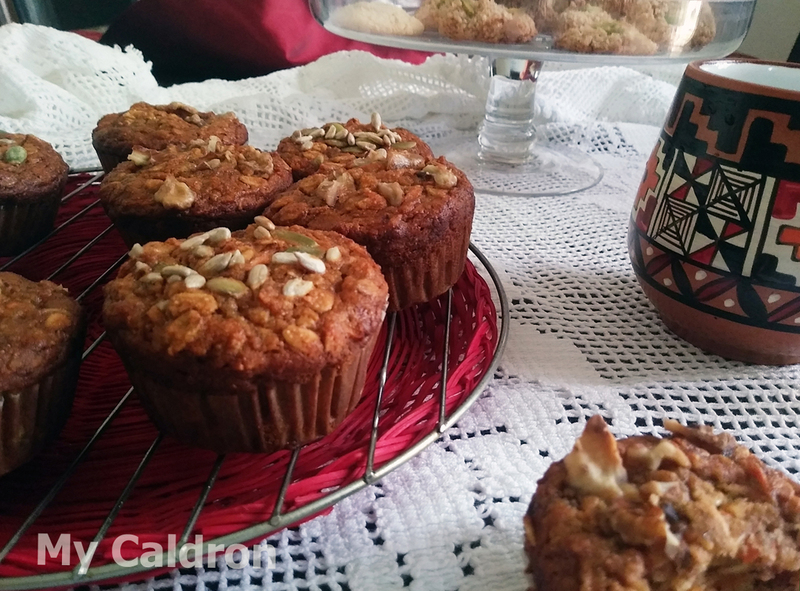 In Persian version of this post, I have included the original recepie – In Persian Of course! 1/4 cup raw walnuts (I sometimes use sunflower & pumpkin seeds on half of my batch). Next add grated apple, brown sugar, baking soda, salt, cinnamon, and whisk to combine. Add oats, almond meal, and gluten free flour blend and stir. Bake for 32-36 minutes, or until deep golden brown and toothpick inserted into the center comes out clean. When you press on the top it shouldn’t feel too spongy, so don’t be afraid of over baking! The GF blend just takes longer to bake. Remove from oven and let set in the pan for 15 minutes. Then flip on their sides still in the pan to let cool completely. *Note: In My oven, I bake in 350F for 25 minutes and it looks and tastes perfect.